WITH OVER 500 FILM PRODUCTION FROM EVERY OCEAN AND SEA, I CONTINUE TO TRAVEL THE WORLD IN SEARCH OF NEW ADVENTURES. René was raised in Marseille, and at an early age developed a passion for the treasures hidden beneath the deep blue sea. After having trained with the Marine Firemen and obtaining a Level ll Deep Sea Diver diploma, he began an underwater cameraman carrier. With his vast underwater image bank, René started his production company, Label Bleu Production, in 2004. Label Bleu is managed by his daughter Alexandra. 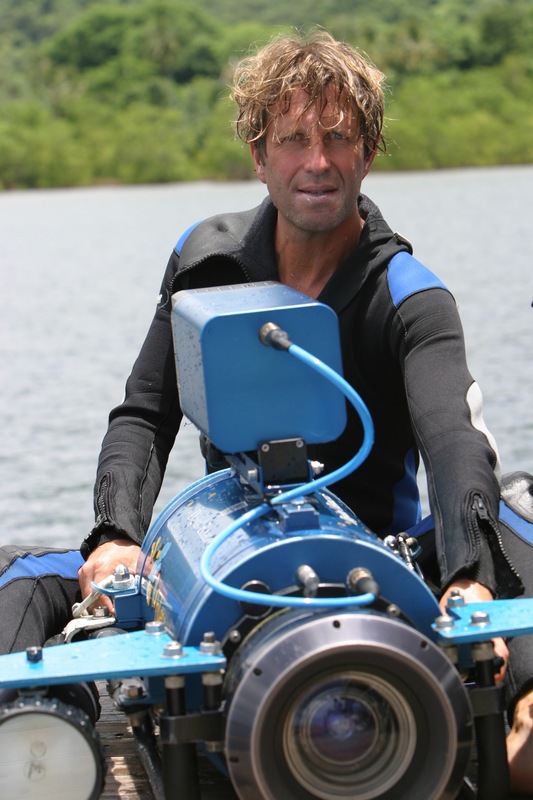 With the experience of over 1500 underwater films, backed by an image reserve containing over 1700 hours of image, René is the underwater cameraman for the most demanding producers. Label Bleu also produces its own films and documentaries including the “Ocean de Vie” short series. It’s activities in underwater filmwork span from documentary film to media reports, fictional film, and advertising. To share with others his knowledge of underwater cinematography, he also offers workshops and training in France and abroad. René is married to Yukimi Yamamoto, a Japanese opera singer, and is the father of two children, Alexandra and Baptiste. When not on-location filming, René makes his home in Marseille, France. Director of underwater photography, fiction cinema, film Oceans, by Jacques Perrin and Jacques Cluzaud. Documentary History Award at the World Festival of Underwater Photography in Marseille.